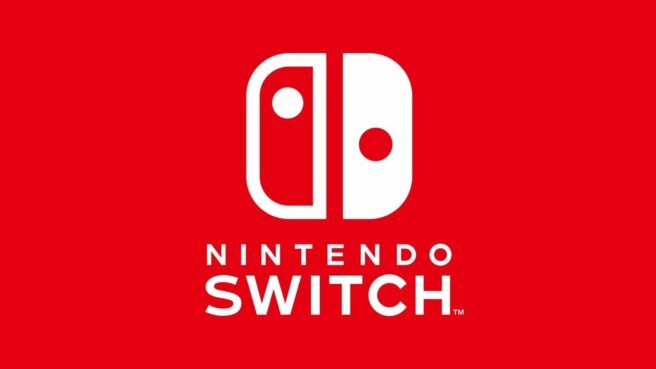 Nintendo has once again produced a “Nintendo Switch My Way” my commercial. 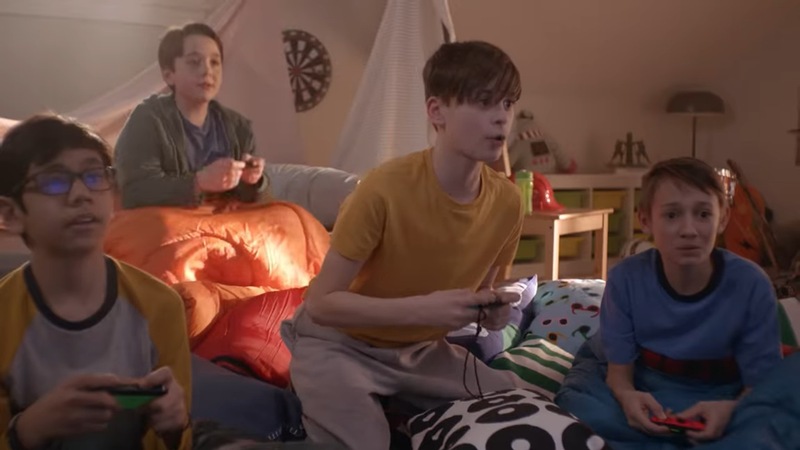 Below, view the latest advert, this time focusing on Overcooked 2 and Mario Kart 8 Deluxe. A new update is now available for Mario Kart 8 Deluxe. As of now, all players can access version 1.7.1. According to Nintendo, the update addresses an issue regarding the game becoming unresponsive to any input except for the HOME Button. Continue on below for the official patch notes. 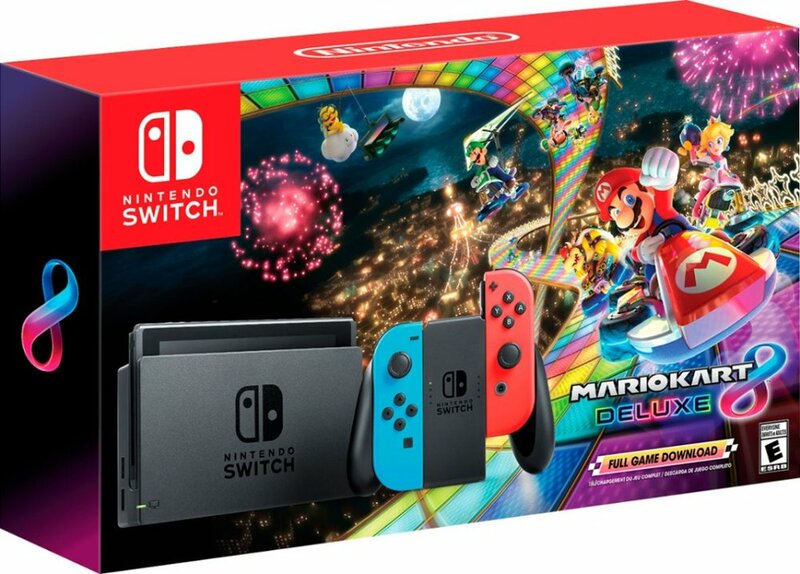 Much like what has recently been sold in North America, Nintendo is now selling a Switch bundle featuring Mario Kart 8 Deluxe in Europe. It includes the console, Neon Red/Neon Blue controllers, and a free full game download code for the game. 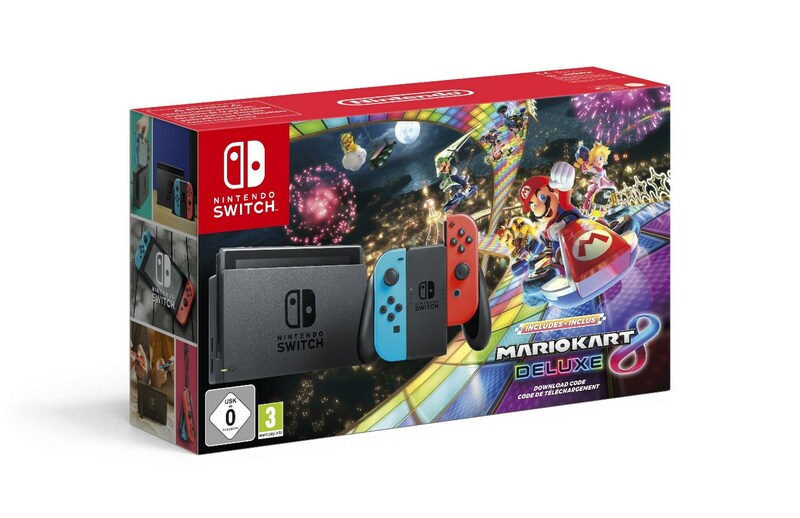 Various retailers are selling the Mario Kart 8 Deluxe Switch bundle, including the Nintendo UK store. It can be purchased there for £279.99, a saving of £49.99 if purchased separately. Just in time for Black Friday, Nintendo offered a special Switch bundle last week containing Mario Kart 8 Deluxe. There wasn’t really a similar option in Europe (at least officially), but that will be changing soon. Reports indicate that Nintendo is readying a similar Mario Kart bundle for Switch in Europe. In France, 60,000 units will be made available to the public. No word yet on an official release date, but it’s due out in the very near future. 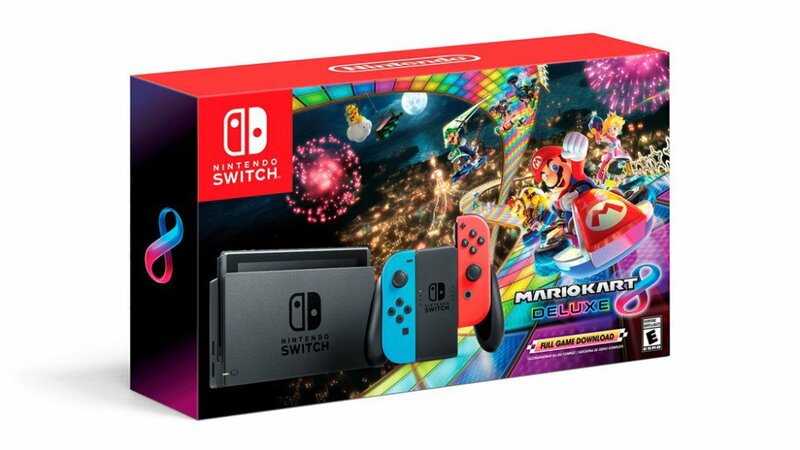 As we found out through a Target Black Friday ad, Nintendo is preparing a Mario Kart 8 Deluxe Switch bundle for the holidays. Best Buy provides a first look at the packaging, which we have above. 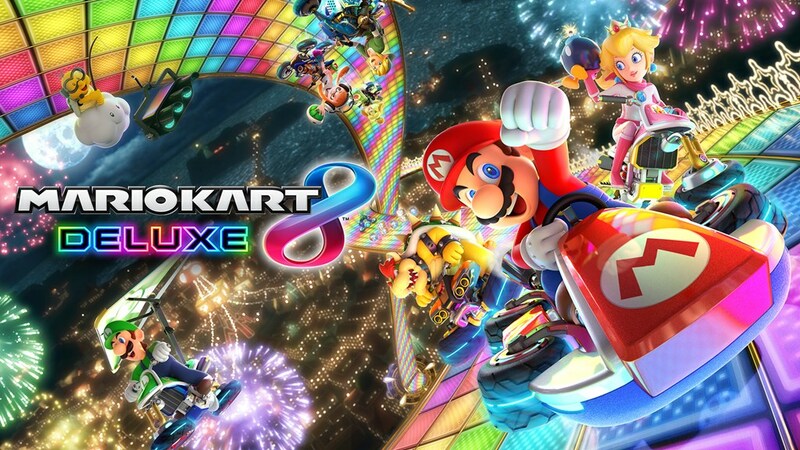 Mario Kart 8 Deluxe’s latest update is now available to download. Version 1.7.0 adds in support for the Nintendo Labo Vehicle Kit and Nintendo Switch Online app. We’ve included the official patch notes below. 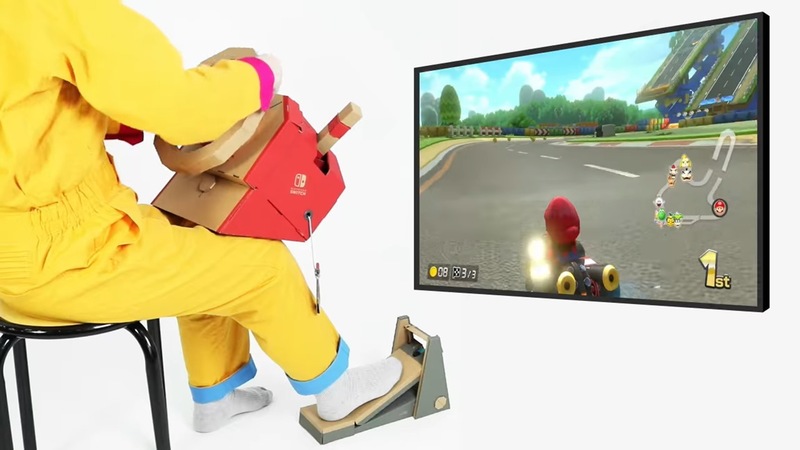 Mario Kart 8 Deluxe is just a few days away from supporting the new Nintendo Labo Vehicle Kit. After an update goes live on September 19, players will be able to use the Toy-Con Car, Toy-Con Pedal, and Toy-Con Key to control their in-game vehicle. As you’ll remember, Mario Kart 8 Deluxe also supports the Nintendo Labo Vehicle Kit. That functionality was added back in June. Nintendo has confirmed more Labo compatibility for Mario Kart 8 Deluxe. When the Vehicle Kit lands next month, you’ll be able to use it in the racer. Mario Kart 8 Deluxe unexpectedly received an update a few days ago. 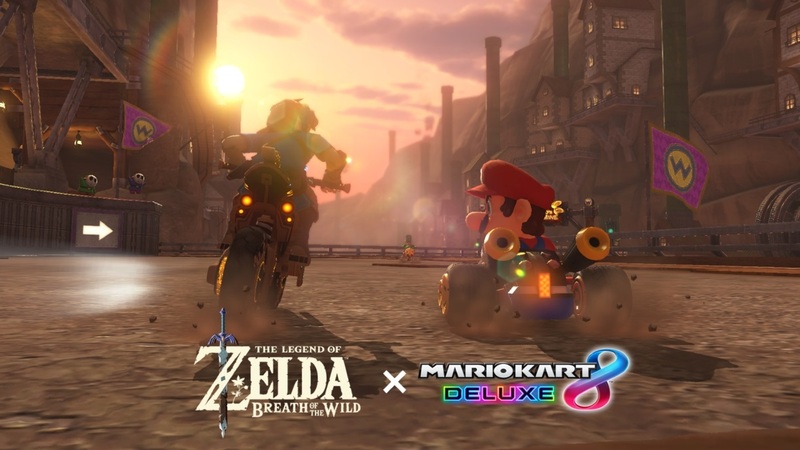 After downloading the latest data, players can ride on the Master Cycle Zero using Link from Zelda: Breath of the Wild. Producer Kosuke Yabuki shared a message about the new update a few days ago. If you’re interested in reading the full translation, continue on below.